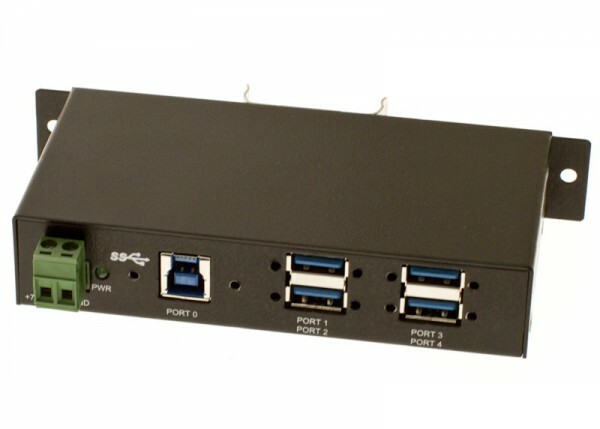 The USBG-4u3ML is a USB 3.0 4-Port Industrial Hub that complies with the Universal Serial Bus 3.0 (USB 3.0) Specifications Revision 1.0 and is capable of data transfers up to 5Gbps. 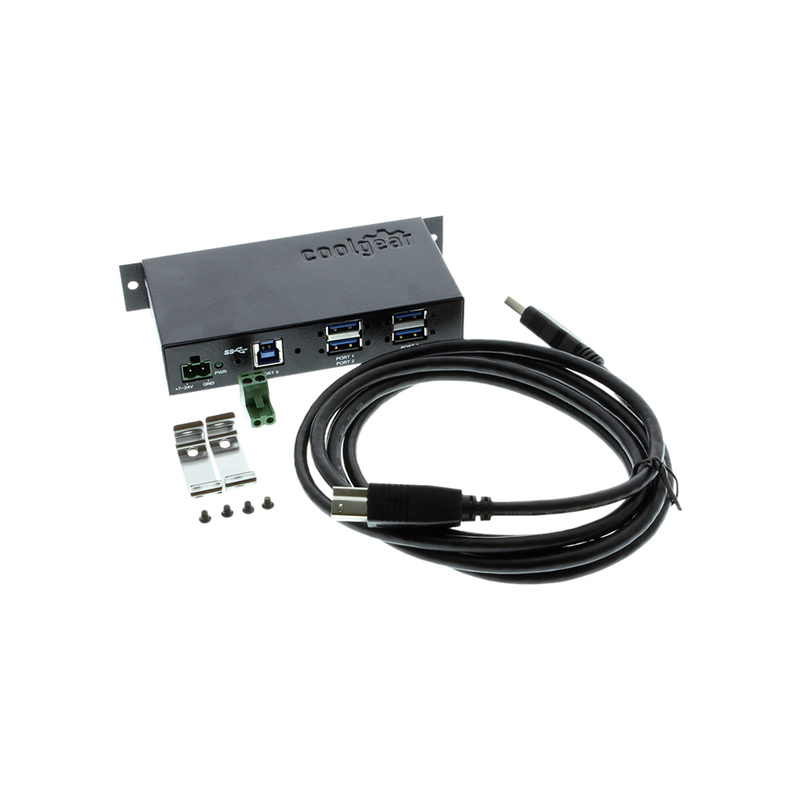 It provides 4 downstream facing ports with standard Type-A USB 3.0 connectors. 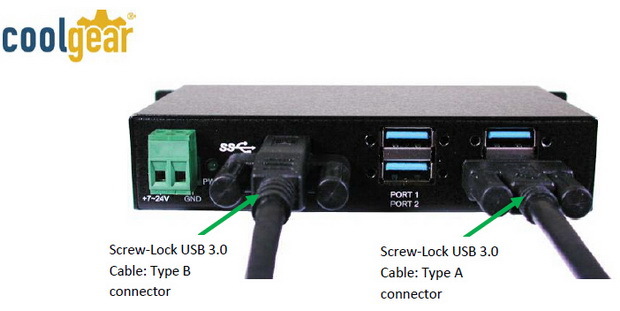 It also supports screw lock features for both upstream (USB type B) and downstream (USB type A) connectors with the Screw-lock USB cables, which prevents against accidental disconnection while transferring data. 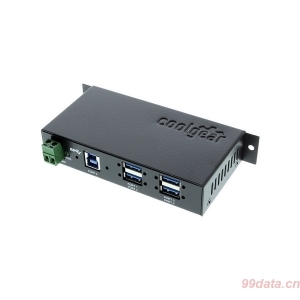 With a built-in single chip USB 3.0 controller, this USB 3.0 4-Port hub is backward compatible when any one of the downstream ports is connected to an USB 1.1 or USB 2.0 compliant device, or when the upstream port is connected to a USB 1.1 or USB 3.0 compliant host. The USBG-4u3ML also provides a unique feature to work in the bus-powered mode without an external AC power adapter. This hub is very convenient for light power consumption USB devices to work in this mode without an extra power supply. Simply plug the device in and continue working. If necessary, the external DC jack is used for self-powered mode for more power on the 4 downstream ports. 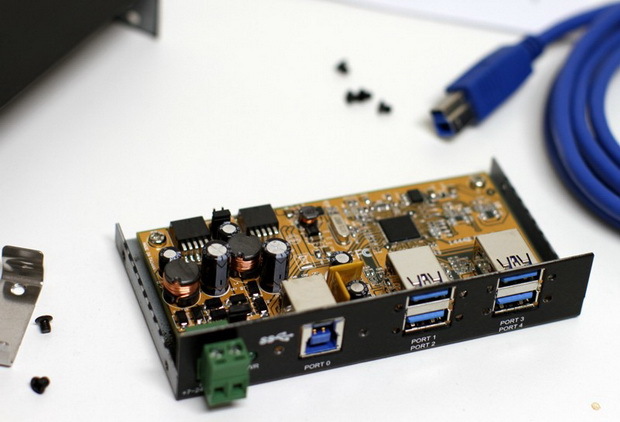 Since the USB port interface is the most popular external port for devices to connect to PCs, the USBG-4U3ML provides an ideal solution to expand your USB ports immediately and save your investment. Supports keyboard, mouse, monitor, scanner, printer, PC Camera, telephone, CD-ROM drive, Pen-drives, SATA enclosures, joystick, virtual reality helmet, modem, PBX and many more. Supports 4 external USB 3.0 Type-A connectors and 1 Type-B Upstream connector, supports screw lock features with screw lock type cables. Supports 1 DC Jack and 1 2-pin Terminal Blocks for external power input.